Weekly Photo Challenge: Nighttime | Oh, the Places We See . . . If there’s a more lively place at nighttime than Las Vegas, we just haven’t been there (although Shanghai’s Bund comes close)! It’s “lights on” everywhere — from the dancing Bellagio fountains to the uplighted Eiffel Tower at Paris Las Vegas to the brown turned gold Wynn facade. 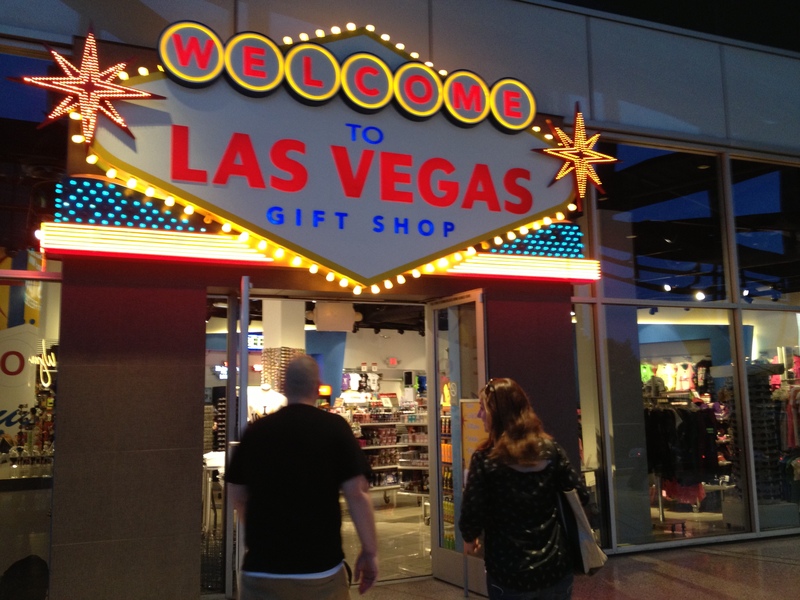 Welcome to Vegas — any time day or night! Nighttime draws people to The Strip where people watching and picture taking go hand in hand. 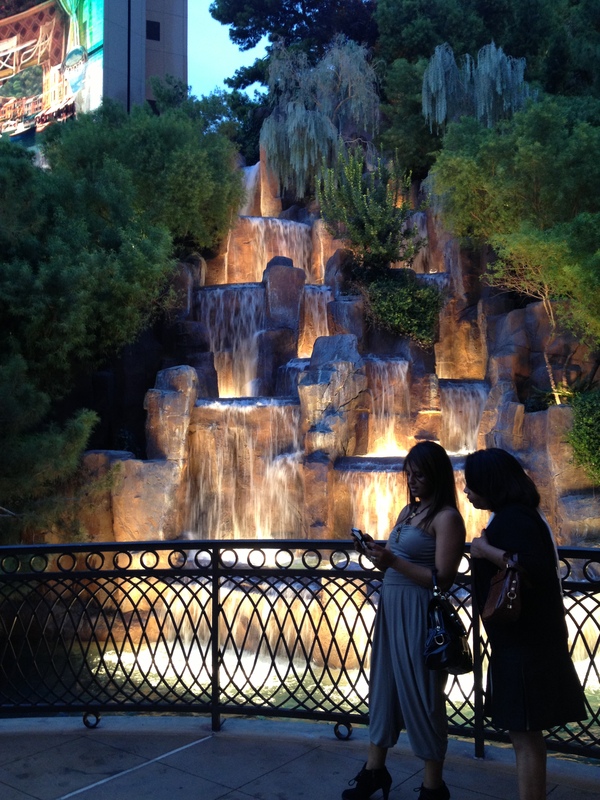 Looking at the just-snapped pictures of the waterfall at Wynn Las Vegas. You might get your days and night mixed up though — if you hang out in the casinos. Keep a watch handy. You just might not be able to tell whether it’s morning, noon or night. It’s Vegas, baby. Seems like nighttime when you’re in the depths of a casino! For more great nighttime shots, check out Weekly Photo Challenge: Nighttime. This entry was posted in Nevada, Photography, Weekly Photo Challenge and tagged Las Vegas, lights, nighttime, Paris Las Vegas, postaday, Wynn. Bookmark the permalink. When you think of it, it’s either always daytime or always nighttime in Vegas. I’m not sure that town ever goes to bed! Thanks for reading! You are so right!!! I got turned around just going to the bathroom and then trying to find the slots that paid off before I went! I’m not much of a gambler, but I loved watching people who were! Las Vegas is fascinating indeed. When I visited Vegas many, many years ago it was boiling hot during daytime outside and we almost didn’t know what to do 😮 longing for the evening/night to start. 🙂 Great shows! I was there in the heat, too. But once you’re in a cool casino or just wandering around the lobbies watching people go by, you don’t know if it’s day or night! Thanks for commenting! Thanks so much! Love the nights in Vegas. Would love to go back! Hehe, Vegas seems like a crazy place. It is a crazy place, one that everyone should see at least once! It’s a city that never sleeps!! Thanks for reading! Happened to me!!! 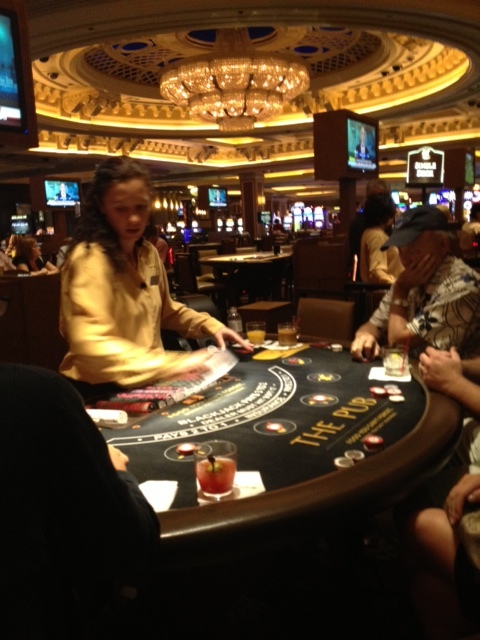 But I also met some folks who only play the slots at night and sleep during the day. Whoa! !